Shailee Designs is a brain child of a person who is an interior designer by profession and an artist by nature. This combination took me further to combine interior design and handpainted, handcrafted home decor products. The main inspiration behind this venture is traditional indian weddings and inevitable role of henna in the same. Love for henna took me beyond the idea of drawing henna patterns on palms. Experiments of making beautiful henna inspired designs on various materials as a product base took a stop at wood. Also you will find here are many other products which are rustic and earthy. they are warm enough to make a place your DEN. Being an interior designer, home decor products, other organizers and artefacts were undoubtedly the end products. Thus started the journey of beautiful Shailee products. Initially started as handmade gifts to friends and family, these pieces have adorned many new and unknown homes who have turned into satisfied clients and friends eventually! 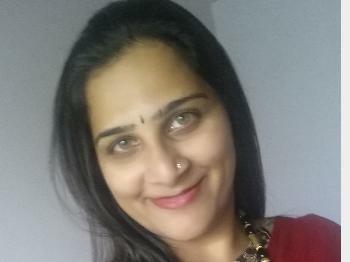 Hi, I am Jahnavi Kulkarni, an interior designer by profession. Interest and flair in art is a part of my profession and so my whole life. Through shailee designs I try to take ahead my love for henna, rustic and earthy look and enhance MDF products. 1. Once the product and order is confirmed through an email, the same will not be cancelled. 2. Actual product color and a photograph may vary as resolution and color differs device to device.